“Hello Danna!! I stumbled upon your side from a google search I did on similar culinary mystery series to the Goldy Bear series by Diane Mott Davidson. I am quite the picky reader, and the books I read really need to keep me reeling for more. I read this series in three months, which is quite a feat for me! Now I need some help from you…..there seem to be many culinary theme mystery series and I do not know where to start. The librarian at my local library gave me two books; needless to say I have renewed both books twice. I just cannot seem to quite get into them like I did with Davidson’s series. So, here is the big question…..what culinary mystery series should I start with next? Yesterday MJ submitted this really good comment, which is well-worth checking out. If you have a Cozy Mystery author who writes a culinary theme mystery series who you think would be a great author for a novice Cozy Mystery Culinary theme lover, please post a comment. Thank you! It looks like we are in sync as to the cozies we like. Earlene Fowler’s Benni Harper series is also one of my MOST favorites. Both Fowler’s and Crosby’s series have very complex characters that really make the stories intriguing. I really enjoy MacInerney’s Gray Whale Inn series. After a bit of a break she’s got a new one coming out in May. YEA! Did you read the book she self published and released last December, “Mother’s Day Out”? It’s a bit of a departure for her with offbeat characters, humorous situations, and plots that take several twists and turns. At first I had a hard time getting into it, but found it very interesting with a surprising finish. I hope she is able to continue with more books and develop this into a series. Thank you, Amy, I have added your suggestions to the list. Might try Jenn Mckinlay”s Cupcake Shop mysteries. So far I really like the characters and the attitudes. Thanks, Ginny. I added Jenn McKinlay to the list. I enjoyed the first book in the Charmed Pie Shoppe series by Ellery Adams, Pies and Prejudice. The second book, Peach Pies and Alibis is on my TBR list. B B Haywood Candy Holliday Series has recipes in the book. I liked the “White House Chef Mystery Series” by Julie Hyzy and the “Donut Shop Mystery Series” by Jessica Beck. I just put a few from your list above on my TBR list. Thanks! !…..and Happy Reading! Jessica Beck’ s donut shop, isis Crawford’ s caters series, Jacklyn Brady’s. Piece of cake series. That is all that I think of right now. Ginger I too am reading the books by Jessica Beck’s Donut Shop mysteries really like them a lot. By the way Ginger how is your reading coming along??? Hi Alfred very slowly right now. I have less than 20 days of school left and I am getting ready. I am 4 months behind on book buying but I am planning a big trip in the next 2 weeks. Alfred thanks for asking. Thank you, Ginger G, I think this list is going to be great for new-bie Culinary Cozy Mystery readers. I second Ellery Adams. I read my first one of hers recently. It was quite good. I highly recommend the ‘Corinna Chapman’ novels by Aussie author Kerry Greenwood. Corinna is a baker, who with her friends gets mixed up in all sorts of things. Try and start with the first one (Earthly Delights) or at least with one of the first three – they’re the best, imho. Do NOT start with No.5 (Forbidden Fruit) if you can help it. That is the exception to an excellent series in that it has a very nasty ending. I haven’t read, but have heard good reports of, Laura Childs’ ‘Cackleberry Club’ books and I do enjoy others of hers, icluding the ‘Teashop Mysteries’, if those count as culinary? I love the Goldy mysteries too and there’s a new one coming out in August called The Whole Enchilada. I highly recommend Laura Childs’ Cackleberry Club ones, they’re wonderful. And Joanne Fluke’s Hanna Swenson mysteries are good as well. I am reading Joanne Fluke Cinnamon Role murder, I really enjoy her books a lot they remind me of the early Diane Mott Davidson books. Well worth the read. I enjoy the Cupcake series by Jenn McKinlay also. Im a big fan of Diane Mott Davidson’s series, and have been collecting them for awhile! I love Jenn McKinlay’s cupcake series. I have the newest and can’t wait to read it. I also enjoy Jacklyn Brady’s Piece of Cake series. Most of the others I have not read or tried reading and didn’t care for them. Just not to my personal tastes. I am also a big fan of Joanne Fluke. Hannah Swensen is a very well-rounded, believable character and all the secondary characters are certainly well developed and fit into the stories which also have plenty of of fitting humor. None of the contrived funny bits that some authors stick into stories that do not advance the plot. I met Joanne a few years ago and she is as engaging in person as are her characters. We swapped recipes and I took her some of my “famous” bread and butter pickles and a batch of crystallized ginger. How neat was that, AndieP?!? I just recently discovered Joanne Fluke’s Hannah Swensen mysteries, and I agree with what you are saying here. I’m not far into the series, but I find her characters to be “very well-rounded” with “plenty of fitting humor.” I am so glad Joanne Fluke kept appearing on the Monthly Cozy Mystery Books Recommendations lists. The Chocoholic mystery series by JoAnna Carl. These books take place in Michigan and it revolves around a candy store. These are very good stories. I also like the Tea Shop mysteries by Laura Childs. They get better with each book. Patti I usually don’t figure out who the killer is but in this series I was able to in one book the Chocolate Snowman Murders they made a point about a certain object in it and it was turned up at the murder scene so it was a no brainer who the killer was then. Danna any word on a new Monica Ferris novel for this year Keep looking on Amazon but nothing so far. Paige Shelton’s Country Cooking School series is a good one, but it does have a paranormal element, so be aware if you don’t care for that. She also writes the farmers market series which I have not tried yet but by most accounts is a good one. Also, the new series by Bailey Cates, also paranormal, but it’s a bakery themed series that so far I am enjoying. And I also recommend the cupcake bakery series by Mckinlay, they are a lot of fun! Thanks to all of you, we now have a really good list of people who are just starting to read Culinary Cozy mystery books. I’m going to post this Where to Start with Culinary Cozy Mystery Series on the theme page with the rest of the culinary theme mysteries. Hi Danna, I don’t see Riley Adams listed. The series is called The Memphis BBQ Mystery. It takes place in Memphis at “Aunt Pat’s Bar-B-Que Restaurant” and includes recipes. I love reading about food and also trying the recipes. Cathy H, I just added Riley Adams to the Culinary Cozy Mystery Series page, as well as Ellery Adams. Thanks for the reminder. I have to say Joanne Fluke is my favorite. And the recipes are wonderful. Marye Anne, I don’t know why it took me so long to finally start reading her Hannah Swensen Cookie Jar mystery books! I love culinary cozy mysteries that have recipes in them. I am a nut for cookbooks. Although I do like several authors that don’t have recipes in them the ones I really love are the ones with recipes. 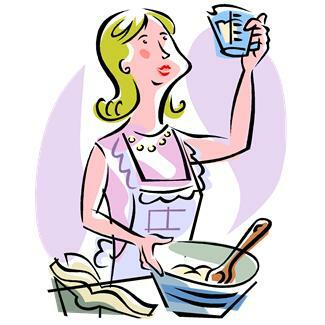 Do you have a list of authors who add recipes to the books they write. I know of Dianne Mott Davidson and JoAnne Fluke but I would love a list of other authors who add recipes to their books. Jackie, I don’t have a theme for culinary mystery books with recipes in them, but perhaps I should think about getting one together. I have gotten a few letters from people asking for the very same theme. I first read Diane Mott Davidson and thought they were OK. But then I found Joanne Fluke and felt I became part of the town. Love her books. I also really enjoy reading Josi Kilpack. I can’t put them down and enjoy reading her books. Thanks for the list of other authors, it looks like I have a lot more reading to do. Laurel, you’re right about having a lot more reading to do. There are lots of authors who write culinary Cozies to pick and choose from. Although there are only eight in the series and it ended in 2003, I recommend Peter King’s Gourmet Detective mysteries. They are exceptional in that the recipes are also mysteries. The reader is given the ingredients, but has to figure out the proportions (as in “He threw in some ginger and mustard”). This is an extra twist and quite enjoyable. Jenny, thanks for telling us about how much you enjoy Peter King‘s Gourmet Detective Mystery Series. Josie kilpack has a cute culinary mystery series. It was the first in this genre that I read. Her first book “lemon tart” was captivating, light and delicious. Is recommend it to first timers 100%. It has a domestic diva feel to it. Andrea, here is Josi S. Kilpack’s Culinary Mystery page on the Cozy-Mystery website.